Can't Ha Sungwoon get higher rank? 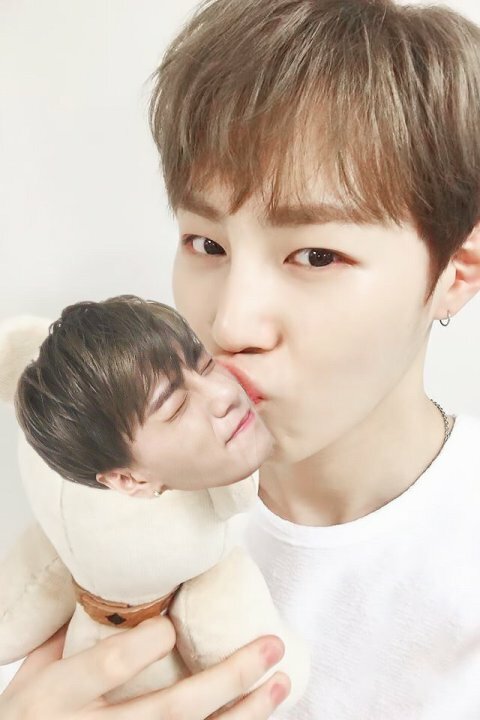 I'm not a fan of Ha Sungwoon, by the way. He has the talents, he's really desperate, he's a funny guy, and I think he's quite popular..? I hope he can get into the final line up and debut..
1. [+186][-9] I agree~! I like him so much..ㅎㅎ He has the talents, the charms, and also the voice that can draw you in..
2. [+167][-9] Learning from the first season, trainees who are talented and get lots of screen times are the advantaged ones.. I personally think the possibility of him to get higher ranking is bigger if he says or does something that can make the viewers pity him..
3. [+159][-6] Sungwoon is really talented~ I'm rooting for him..
4. [+67][-0] He has the looks and the talents. Are there any reasons for him to not be in the top 3? 5. [+55][-3] Of course Ha Sungwoon needs to get higher rank.. He has the talents and also the visual.. Sanggyun, Sungwoon, see you in the final..
6. [+51][-0] Ha Sungwoon can get into the top 3.. I think people around me who don't watch the show will vote for him because of his talents..
7. [+47][-0] Doesn't it depend on his effort? Hard work and effort never betrays the result..
9. [+35][-0] Trainees in the higher ranking are always get hate.. Starting from Daehwi, Jisung to Kang Daniel and Pledis' trainees.. Please just stop it, I'm sick of it..
Write something that you want to tell your crush!